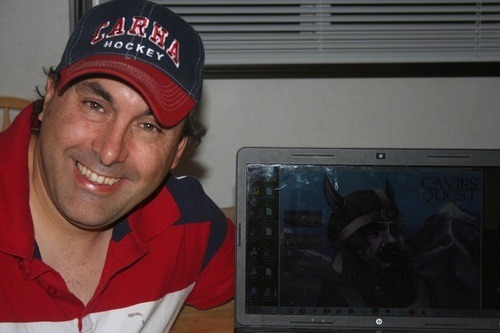 Hi my name is Andy Hatch and I am a solo game maker from northern Alberta Canada. I have created now fourteen games and they are all available here at Itchio. A-mazing Ants my first game was based on a board game I made back in high school. It is a great game for people of all ages. My daughter and I often do battle on the two player option. I created a eight games for jams Fox In The Coop, Ch-Ant-Eckers , Bell Buster, All You Need Is Love, Rockin Robots, Hypnotizer, Monster Production and Tinker Maze. Five of them were Ludum Dare entries , one entry in the One Button Jam and one for a contest on IGM and one was for the Simple Jam here . They are all good for all ages. Taken & Ronny Runs Around Robots are inspired by playing classic video games on my ol Colecovision. Deduction and Lost In The Boreal are my newest big games be sure to check them out. Gavin's Quest is my biggest game and it plays tribute to my past work which was a mod for Warlords Battlecry III a popular RTS game. All my games are either free or have demos so be sure to try them out.